From the Native Americans who first called this land their home, to the millions of people who have flocked to its shores ever since, America is a country rich in diversity. Some of our ancestors were driven by dreams and hope. Others came in chains, or were escaping poverty or persecution. No matter what brought them here, each person embodied a unique gift their art and music, their determination and grit, their stories and their culture. And together they forever shaped the country we all call home. 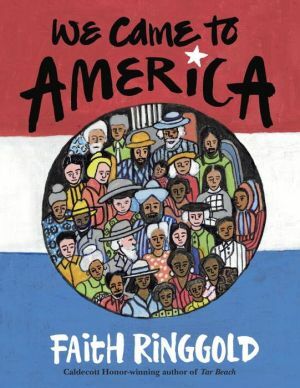 Vividly expressed in Faith Ringgold's sumptuous colors and patterns, We Came to America is an ode to every American who came before us, and a tribute to each child who will carry its proud message of diversity into our nation's future.